DVI Aviation is your Go-Team for fast responses to aircraft accident investigations. DVI's Aviation Consultants specialize in on-site evidence collection, accident investigation, accident scene documentation, wreckage recovery, and artifact storage. DVI offers its clients the ability to have short notice expertise available to travel anywhere needed. 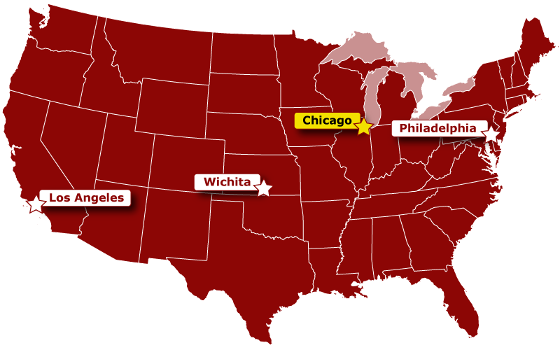 DVI's headquarters is located conveniently close to O’Hare IAP, and DVI has field offices in Los Angeles, Wichita, and Philadelphia. DVI's Aviation Experts can travel efficiently and cost effectively to any locale. Thank you for visiting our website. Please fill out the following form to request information about any of our Aviation Experts or Air Safety Services or to provide feedback about our site. When you are finished, click the 'Submit' button to send us your message. You will see a confirmation below.